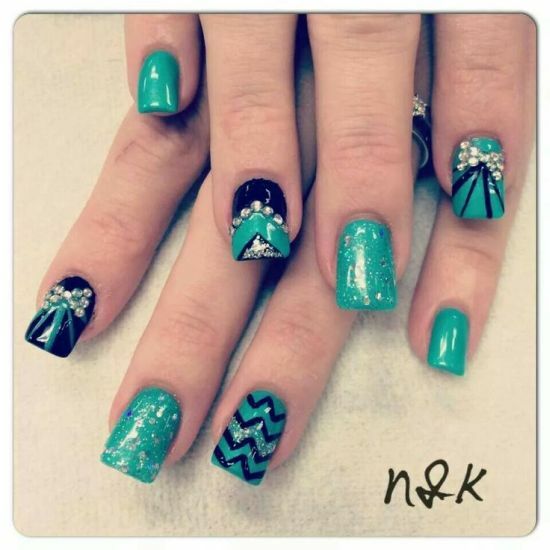 Abstract rhinestone nail art is presently trending big time on social circles and women are going bonkers trying out various styles and designs using stones of different textures. 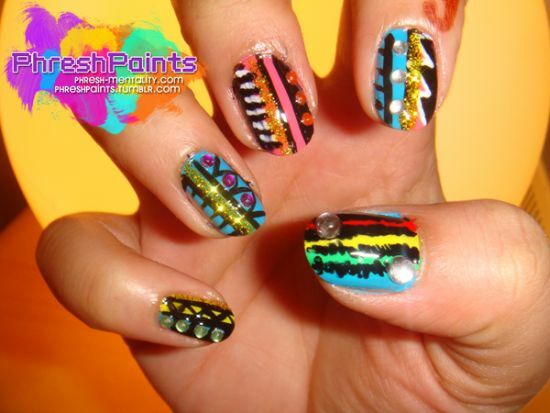 Stone nails with abstract patterns look very artistic and one can accomplish these easily by combining dots, stripes, geometric shapes, tribal designs and flowers. 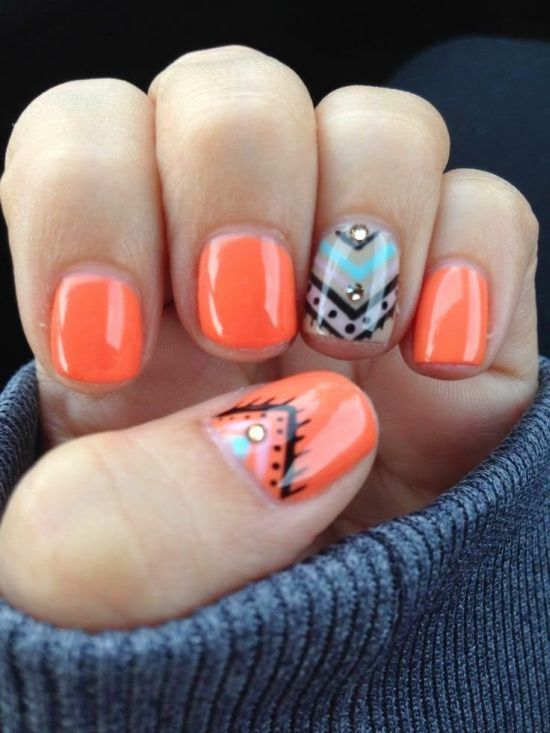 You would need an array of nail polishes and some pretty looking studs, stones and rhinestones to get stone nails. 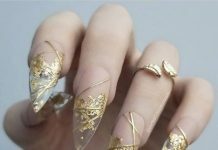 So, check out the 35 most fascinating stone nail art ideas if you believe you are a fashionable woman! 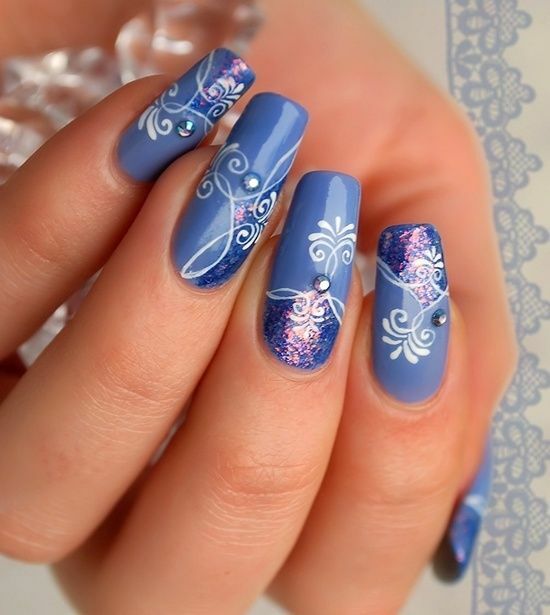 Rhinestone nail art looks very elegant, needless to say, but, all hell breaks loose when you add a fresh streak of blue into it! 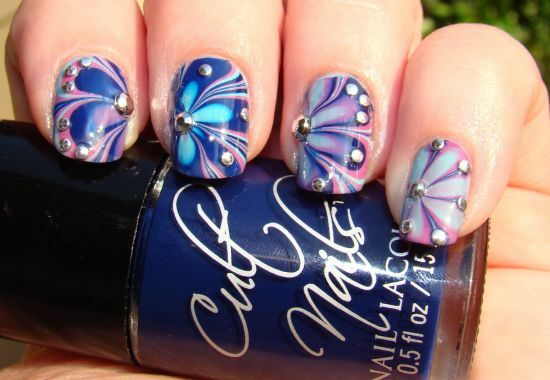 Yes, below, we have showcased gorgeous blue accented stone nail designs that will make your jaws drop for sure. You can design your nails using any shade of blue and decorate it with real stones or with small rhinestones in silver or any shade that lends a cool look. 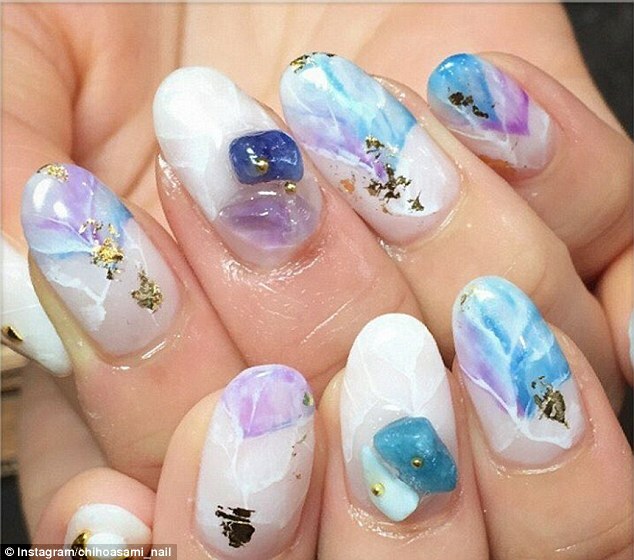 For some great insight into awesome abstract nail design with stones, scroll down under to look at the trending nail designs in flashy orange, yellow, green, blue, white and glitter that are appearing heavenly. French manicured tips can also be decorated using stones and with abstract drawings of your liking. 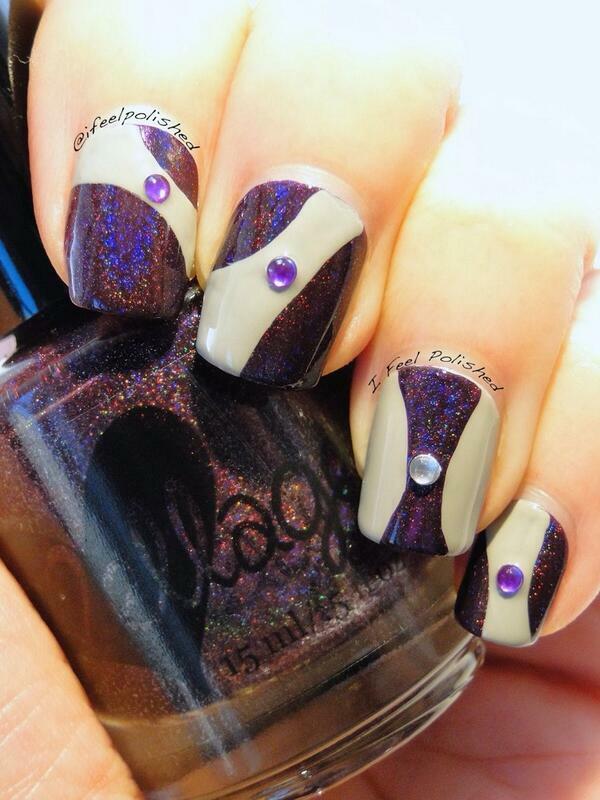 Glitter and stones when added to abstract nails look very trendy and can be worn for any fashionable occasion. 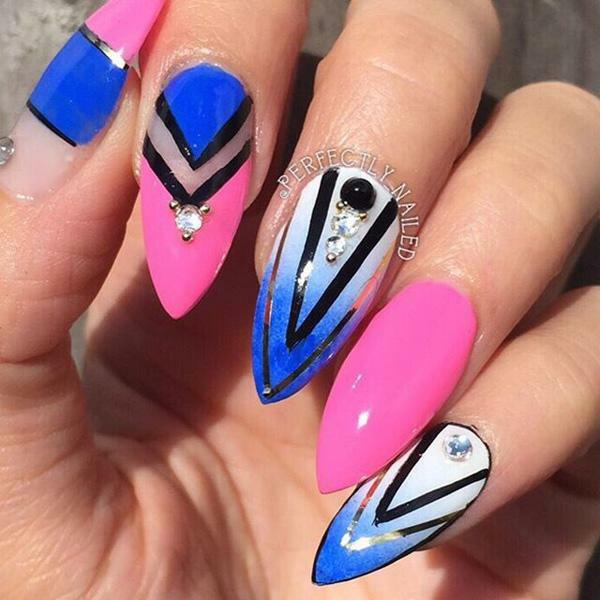 Choose any of these rhinestone nail art to make a fashion statement. 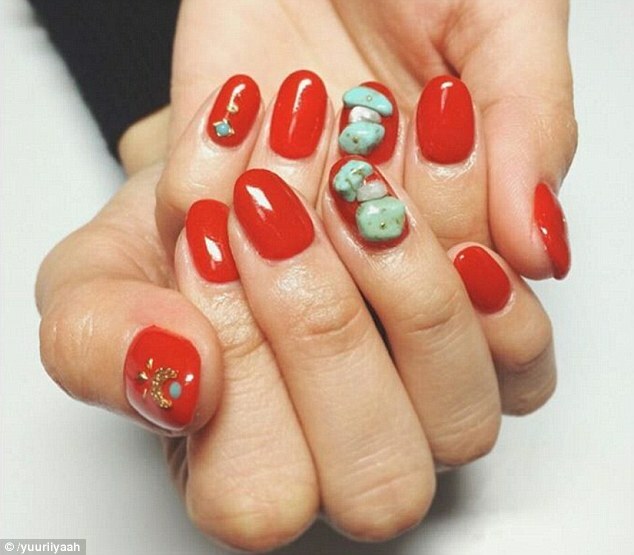 Stone nail designs with real stones and small rocks are in vogue this year with many celebs and models wearing these types of nails at stylish events. 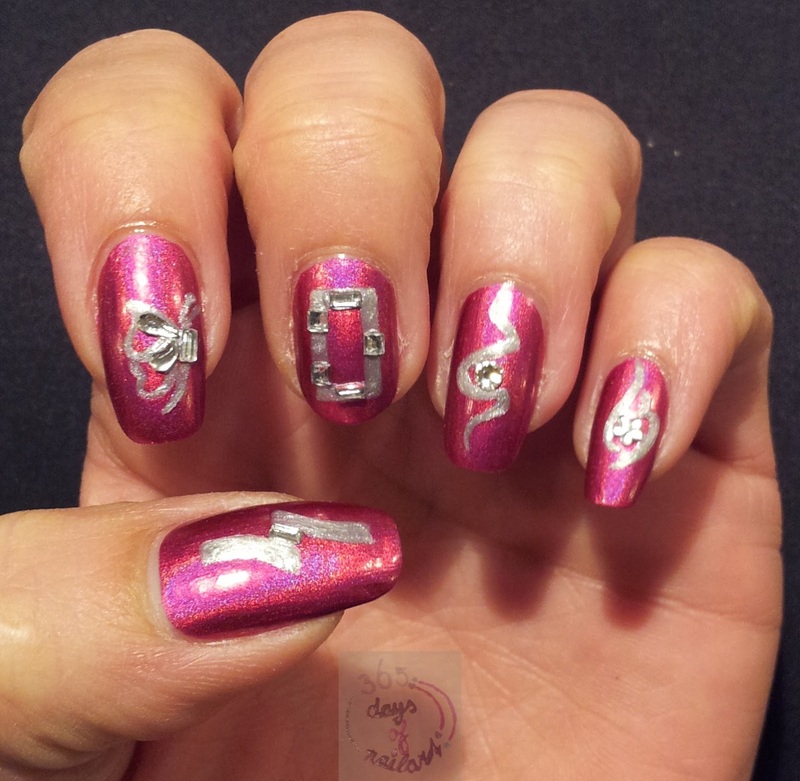 This rocky nail mania is currently sweeping all social circles as it makes the wearers look funky and quite like divas. 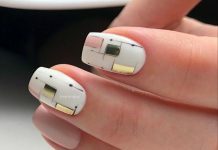 The look is easy to get wherein you would paint your nails with any cool abstract design and stick on real stones of tiny shapes all over. 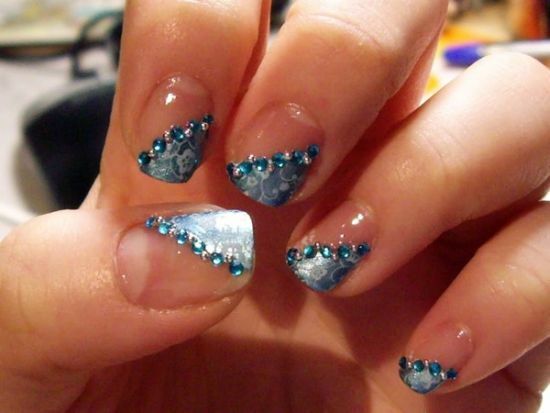 For white based abstract designs, stick on turquoise colored stones or rocks as shown below. 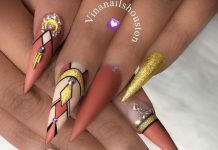 Some nail designs look pretty awesome on short nails and one such trend is the fabulous and popular rhinestone nail art which can add chutzpah to your personality in an instant. 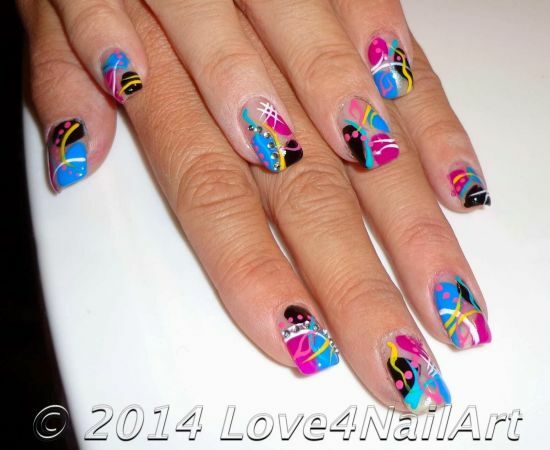 There are different styles of abstract designs you can craft yourself including stripes in bold yellows or pinks, or orange flames designs, or chevron patterns using blue and white. 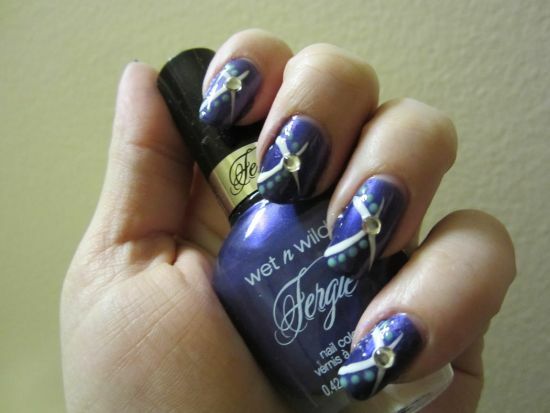 Top these up with different shaded rhinestones of varied shapes to add more bling. Stone nail art will look even funkier when you try different colors together to create awesome patterns along with stones. 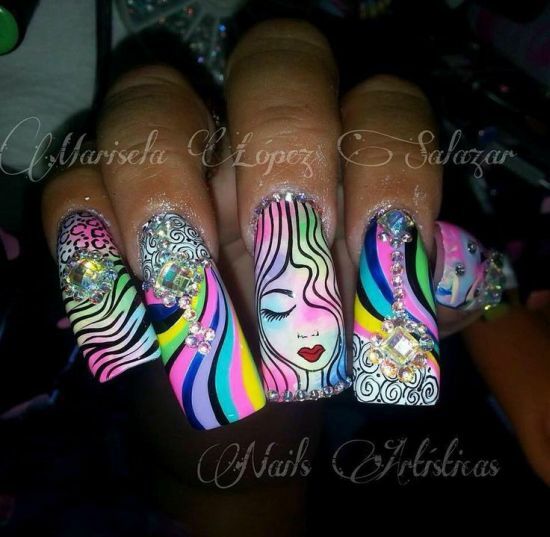 For abstract designs, use any color combo in dark and light colors like orange, candy floss pink and white, yellow, black, silver and gold. 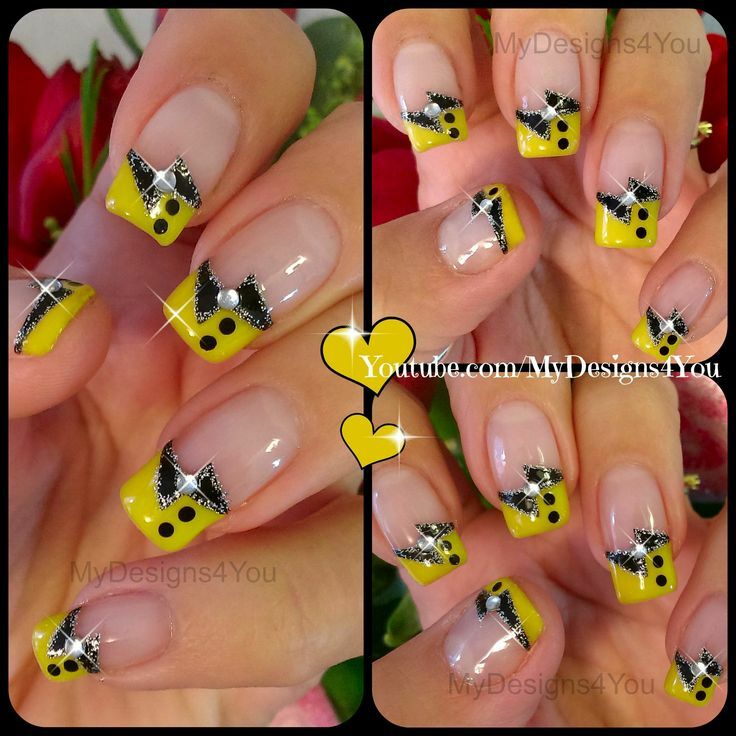 Designs can be in the form of chevrons and stripes or you can simply French manicure your tips and paint them with a bright flash of yellow, adding a bow motif in black with stones as toppings. 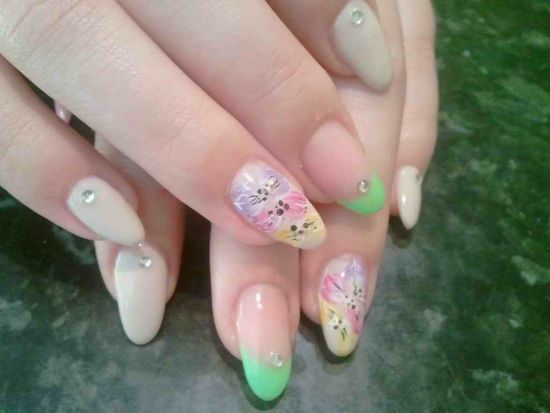 Women all over the globe seem to be in awe with floral nail art and this trend or popularity will never cease in the future too. 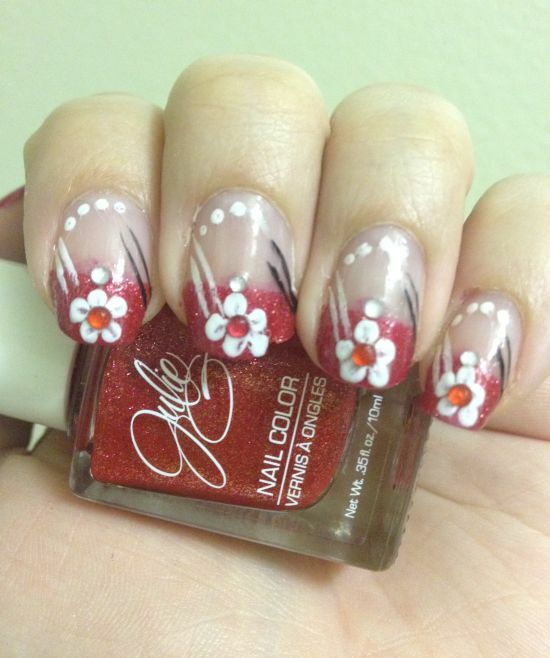 Floral patterns lend femininity and elegance to the wearers whose style is taken a notch higher when teamed up with beautiful and charming stones. 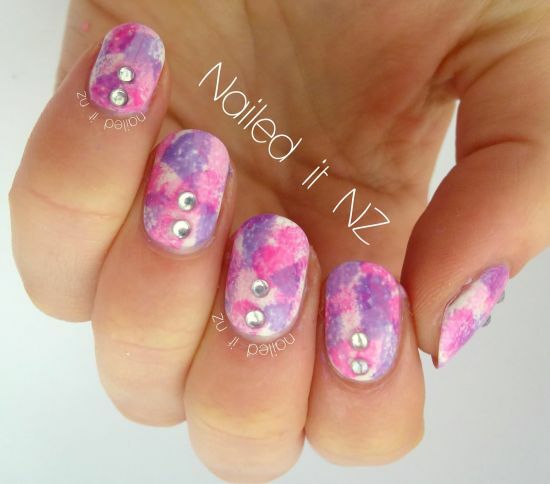 Below we have presented a gallery of stunning floral nail design with stones of various colors that will surprise you. 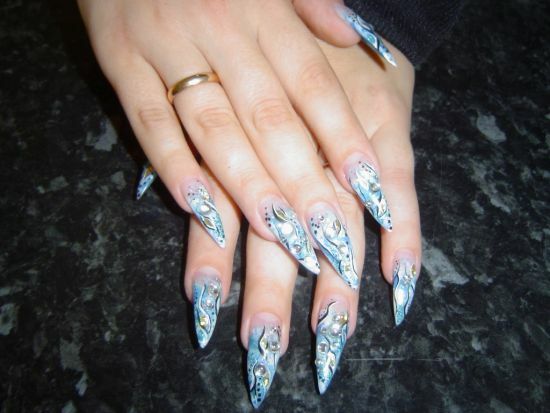 Long nails, either in coffin style, or stilettos always look glamorous and suit every woman. 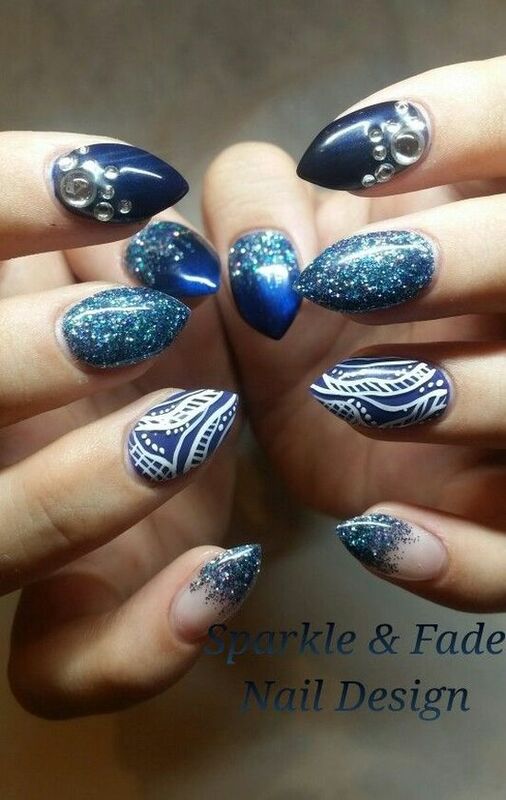 We have tried presenting cute rhinestone nail art that are specially designed for longish looking nails and include abstract designs such as dots, curvy shapes, stripes, swirls, and include gorgeous colors like purple, black, pink, white and silver glitter. 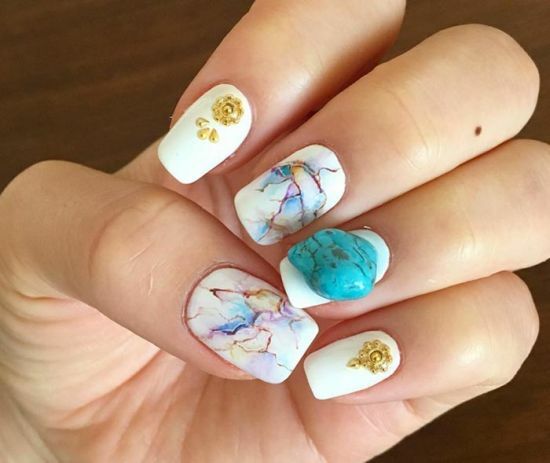 Stone nails with marble designs can be worn for any occasion and the best part about these is the ease with which one can maintain these nails. 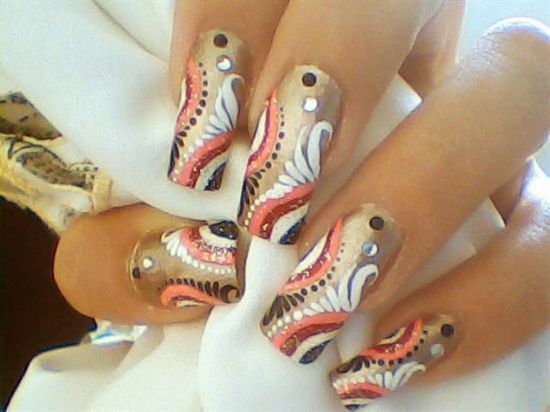 At first glance, you will find such nails are difficult to get, but as you practice painting such designs several times, you will get the hang of it easily. Marbling can be done using white, black or any color palette that is fancied by you. 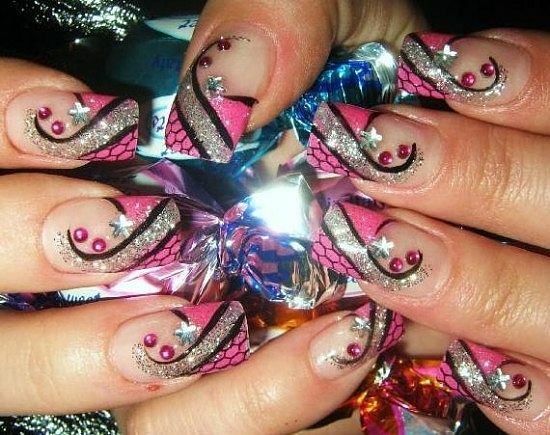 To glam up your marbled nails, stick rhinestones all over. 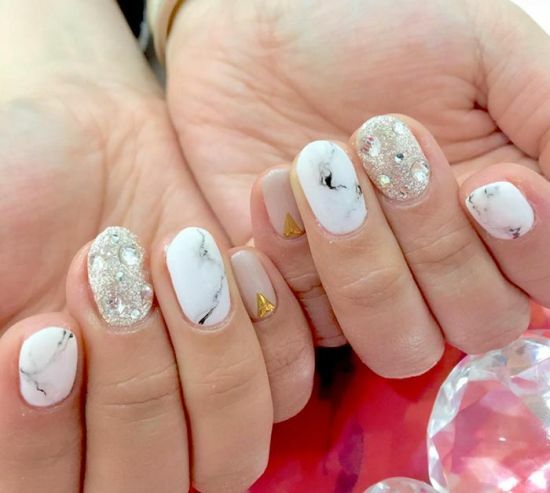 If you have no qualms about spending a little more money on picking stone nail designs such as the ones presented below, you can try decking up your nails with real Swarovski stones or crystals. 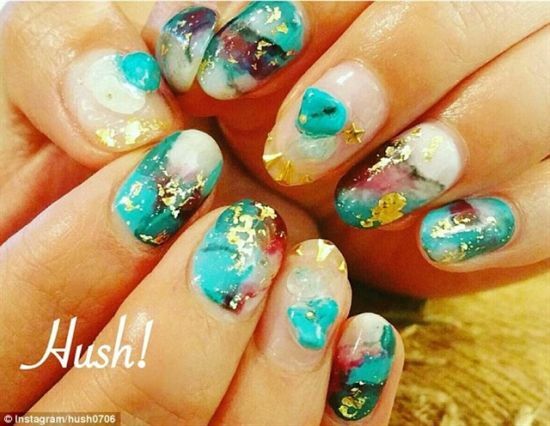 Abstract nails can be made to look super stylish once teamed up with such glimmering stones in various patterns such as the spring inspired abstract nail art or the electrifying blue designs shown under. Abstract nails with stones look unique and can be sported for any event. 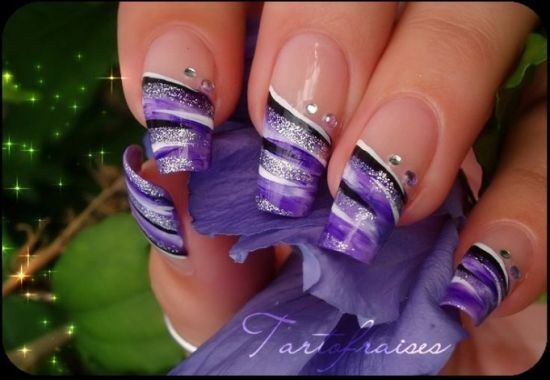 These nails have a unique appearance and are pretty popular all over with girls of various age brackets swearing for these. 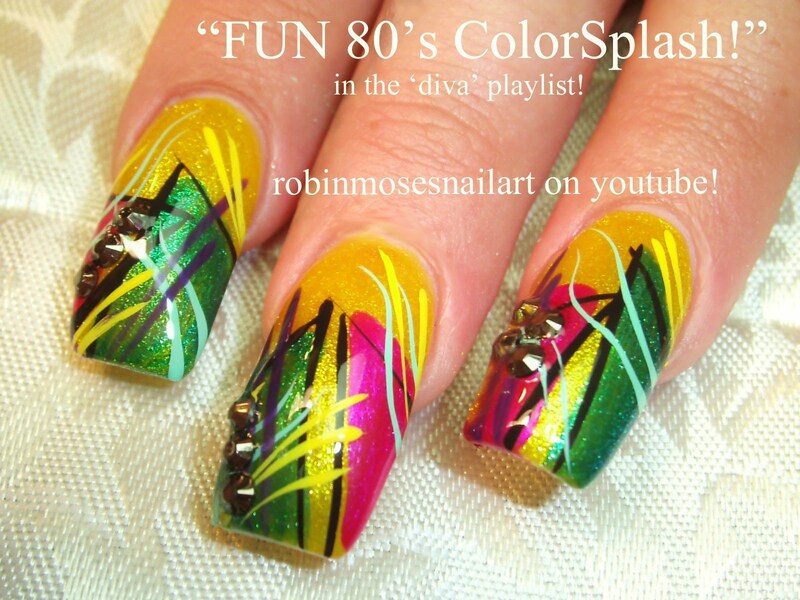 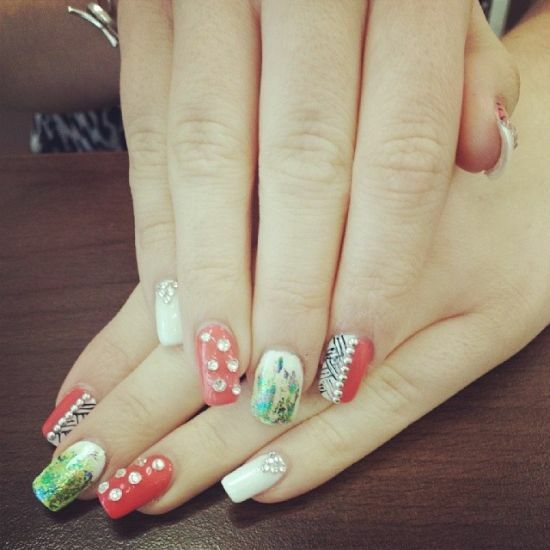 How about trying any one of these fabulous rhinestone nail art ideas that have been projected today? 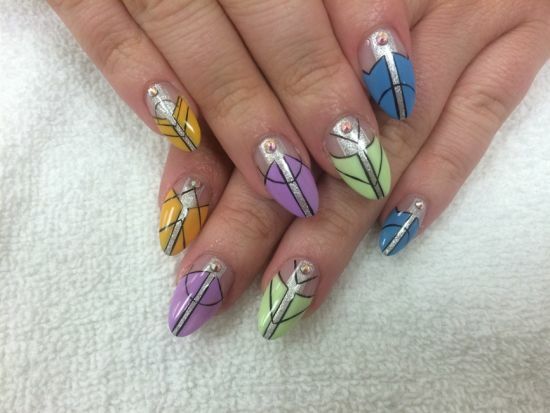 Believe us, these nails rock!